It was 2006, we already had Alex our first child and we were due our second child. When we went to a routine scan at 26 weeks we discovered our baby had a condition called Patau’s Syndrome. We were told the condition was congenital causing a list of symptoms but the bottom line was that our baby girl’s condition was “not compatible with life”. Our doctors didn’t know how she would live outside the womb – it could have being a day, a month but she would be dead within a year. Our initial reaction was devastation and I immediately thought how I was going to continue through this pregnancy knowing its outcome. However during the next 8 weeks before our baby was born my attitude changed completely. I knew that any time my baby lived whether it was inside or outside the womb was sacred (nearly a blessing) I was grateful for every single moment, I could feel my baby kick and that was so precious to me. Given the knowledge that we knew, more or less, how long our baby would live, we took this time as a way to get ready to say goodbye. We used the time to organise her funeral, to have the grandparents and close family members ready to see her and also say goodbye. 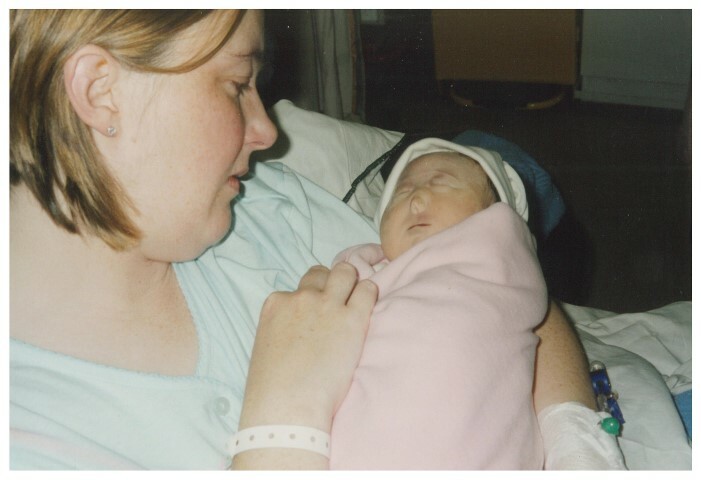 On reflection this time with our baby was eventually part of the grieving/ healing process. Our consultant was fantastic and very supportive. My advice is although it is a sad time, it became like a blessing to me, giving me time to get ready to say goodbye. The doctor and his secretary were amazing. We were never left alone; the hospital was there the whole time. We got great support from them.